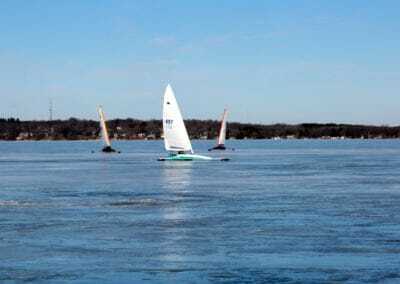 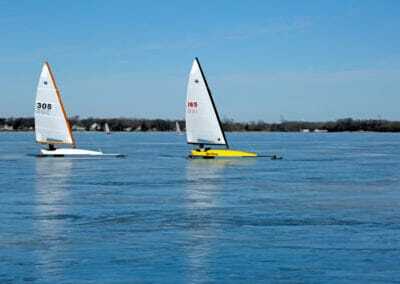 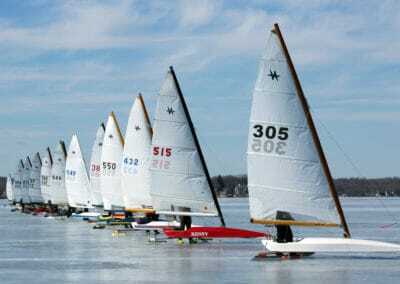 Congratulations to all competitors who hung tough during a week of warm temperatures and rain leading up to the regatta. 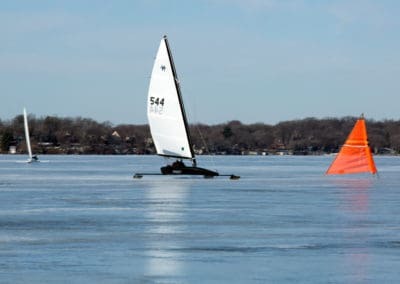 Many thanks to co- PROs Doug Kolner and Pat Heppert for setting courses, dropping starting blocks, and keeping things running efficiently. 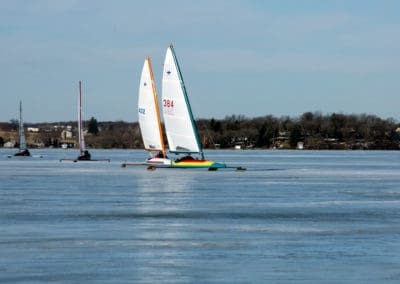 Thanks Grant Frautschi and Lars Barber for making the drive to Kegonsa every day before the regatta to check the landings and ice. 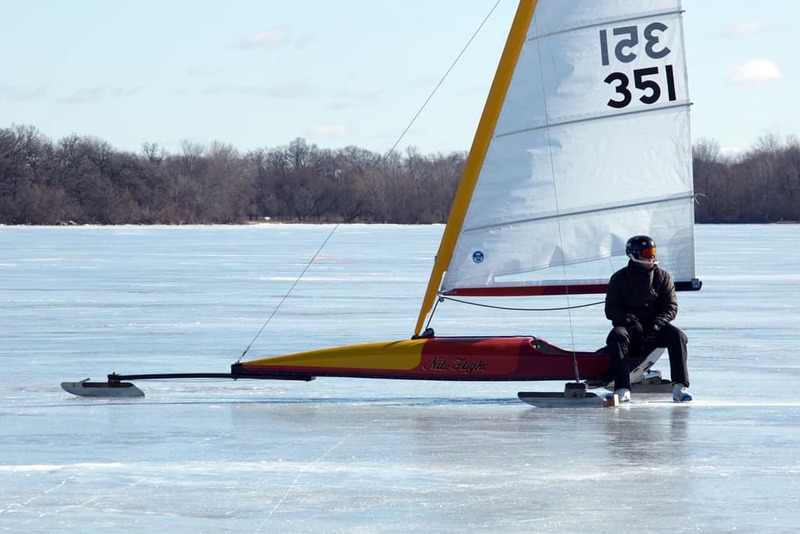 Thanks to Nite officers John Hayashi (Mimi too! 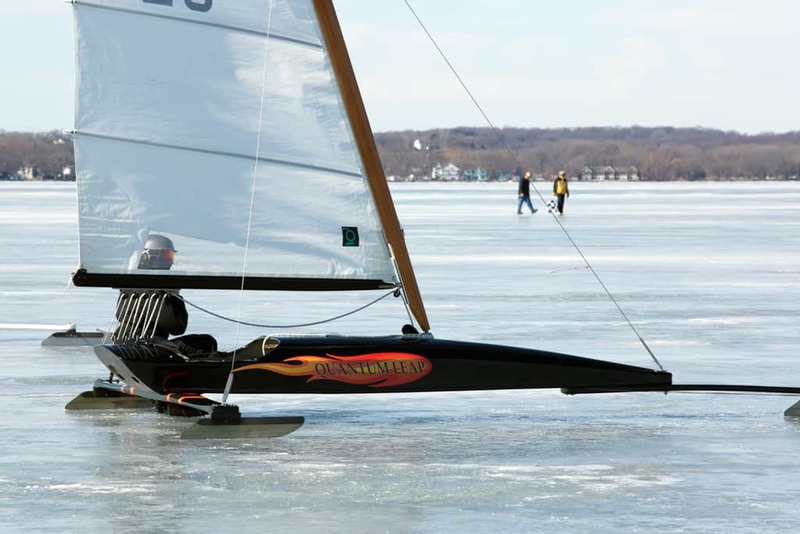 ), Mike Peters, Maureen Bohleber, and Don Sanford for their help. 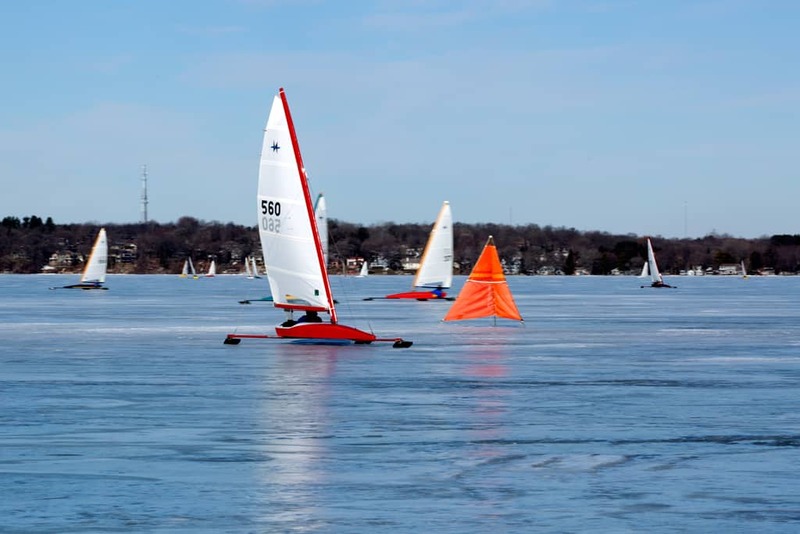 Thanks to Steve and Mary Jane Schalk for staffing the off-shore scoring office from Fontana, WI. 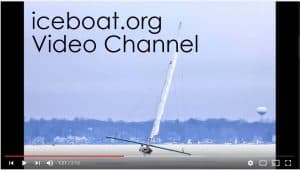 Thanks to Daniel Hearn for the use of the DN Western Region ATV, marks, and equipment. 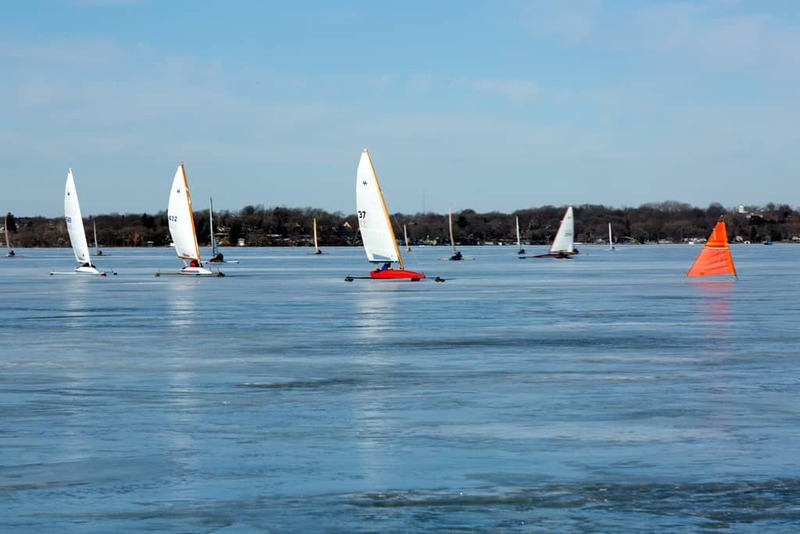 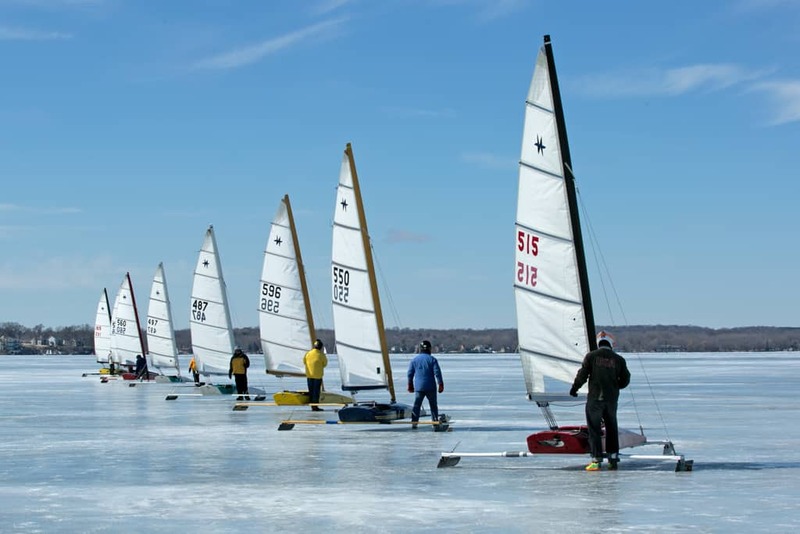 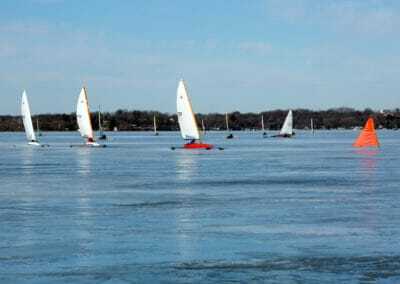 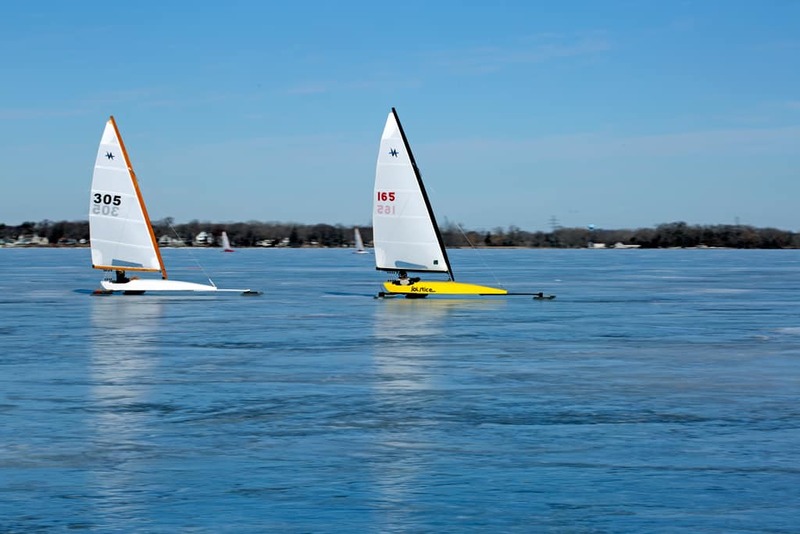 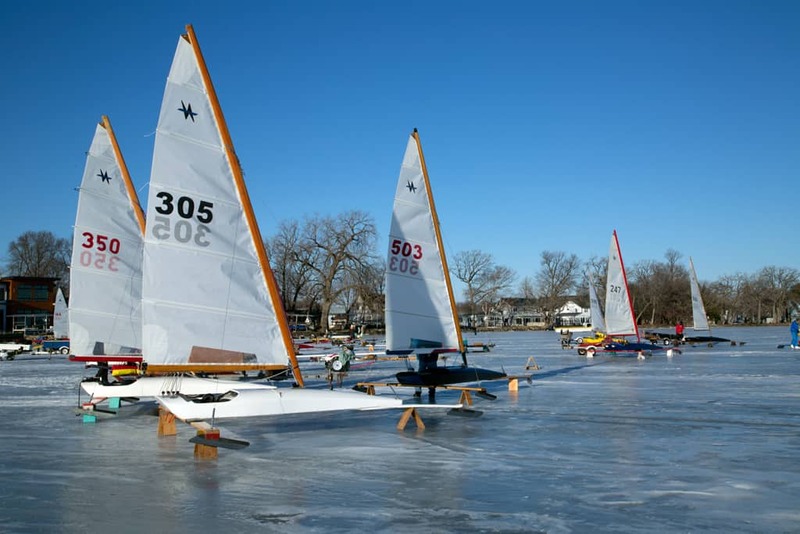 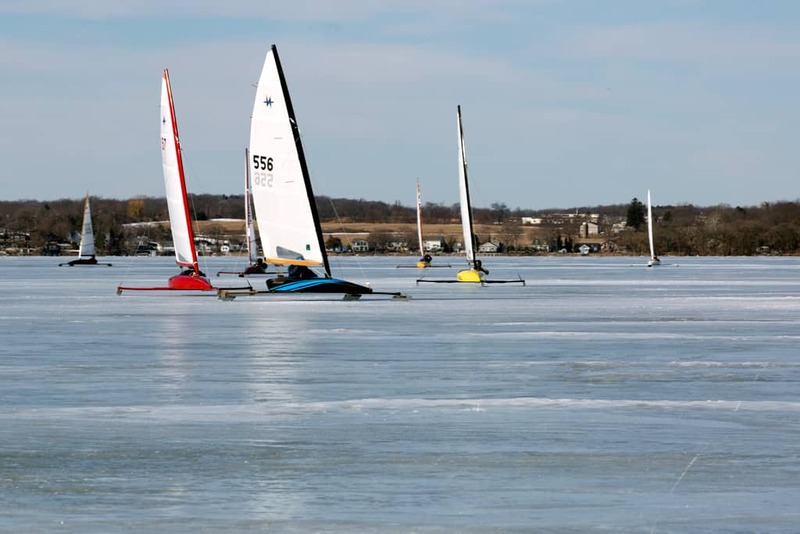 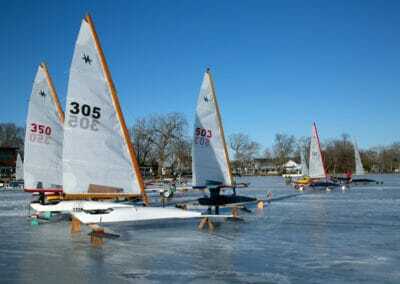 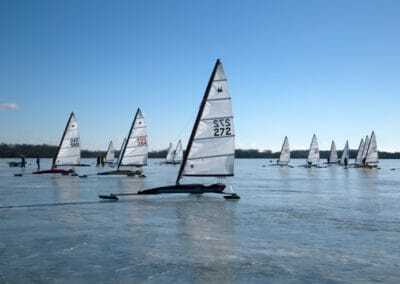 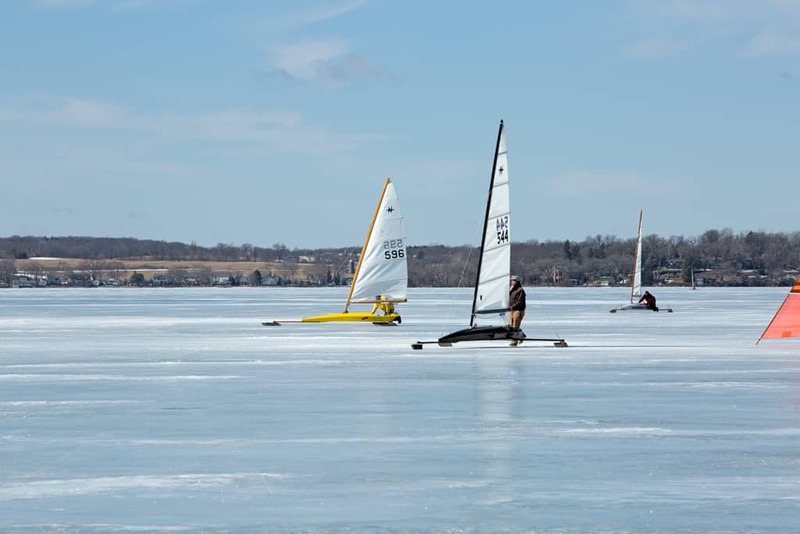 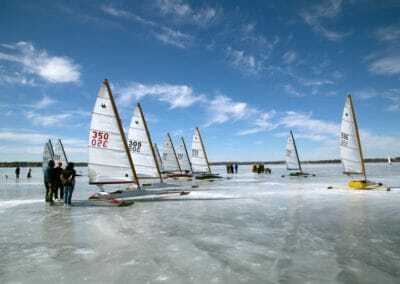 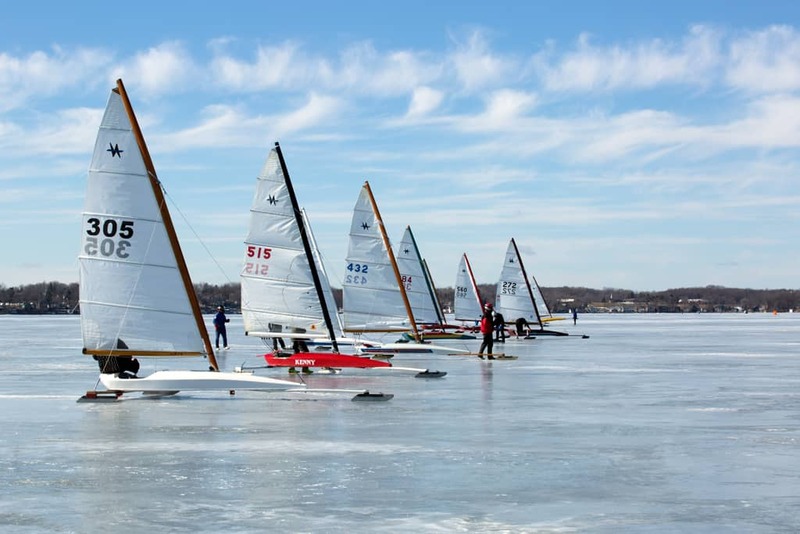 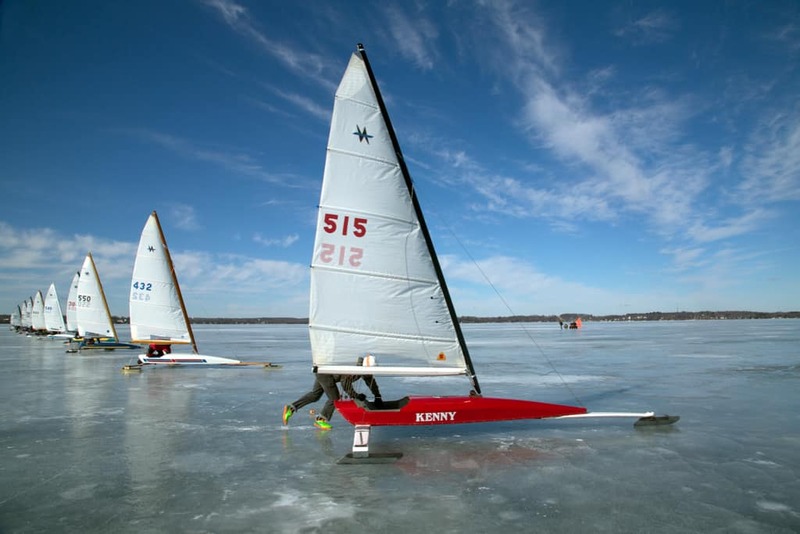 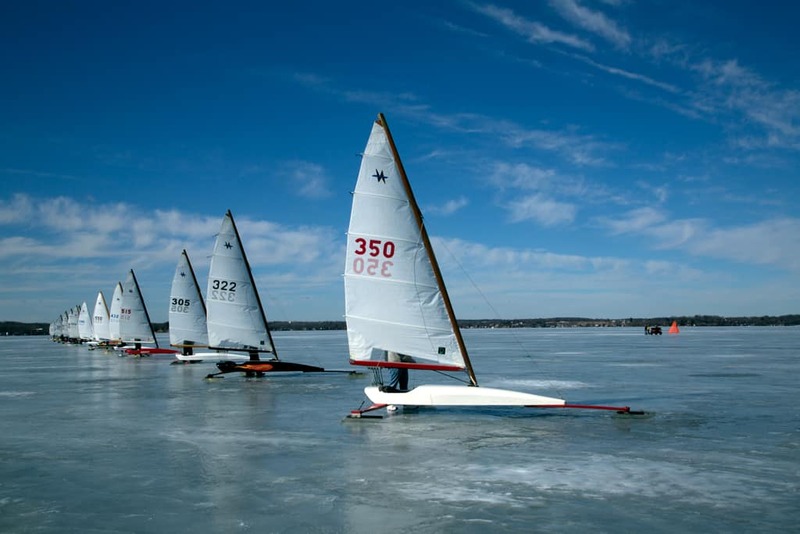 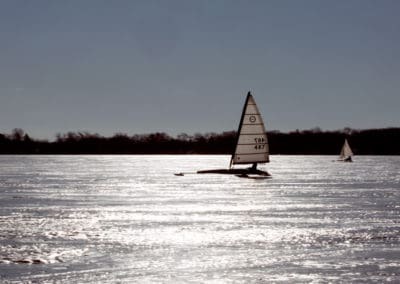 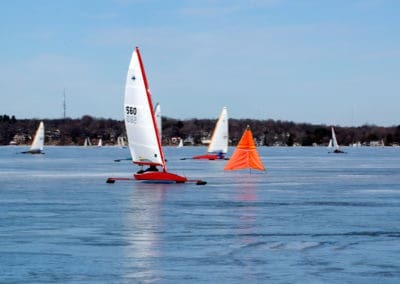 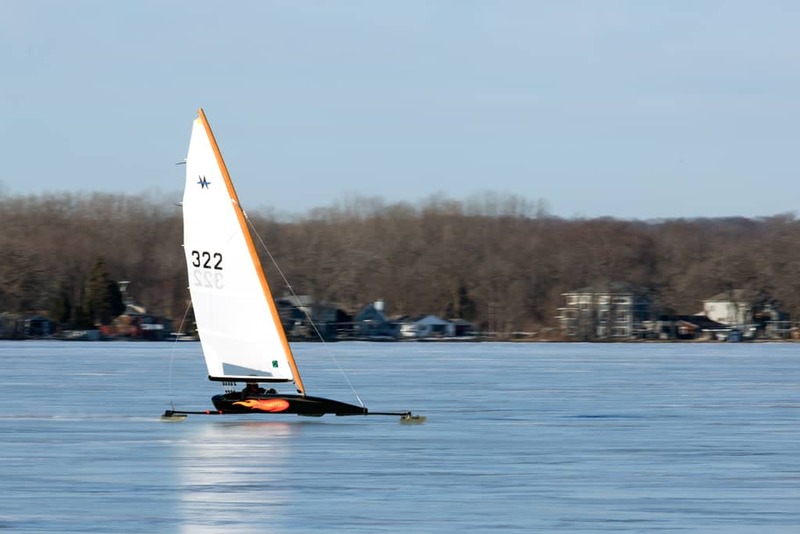 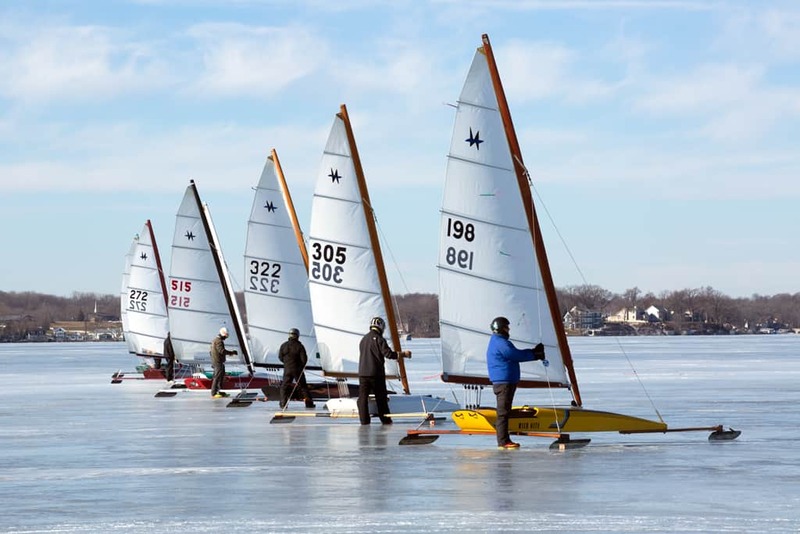 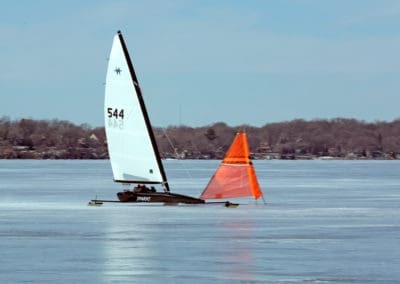 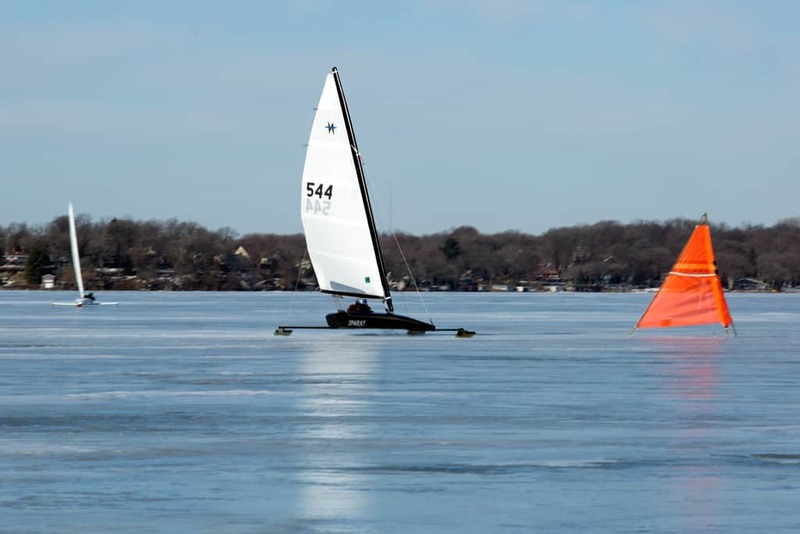 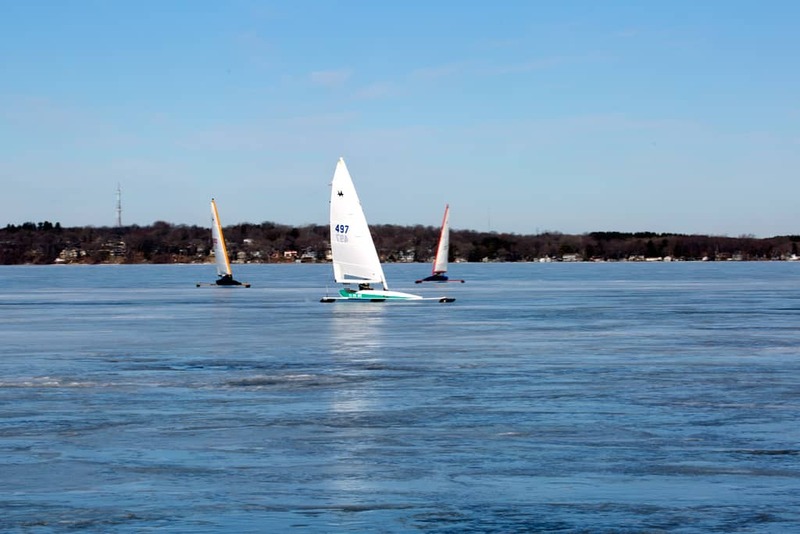 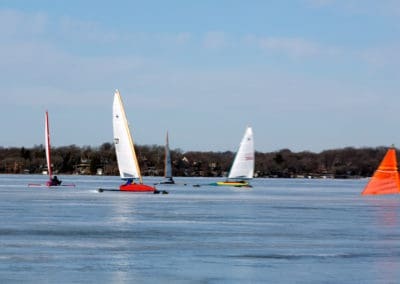 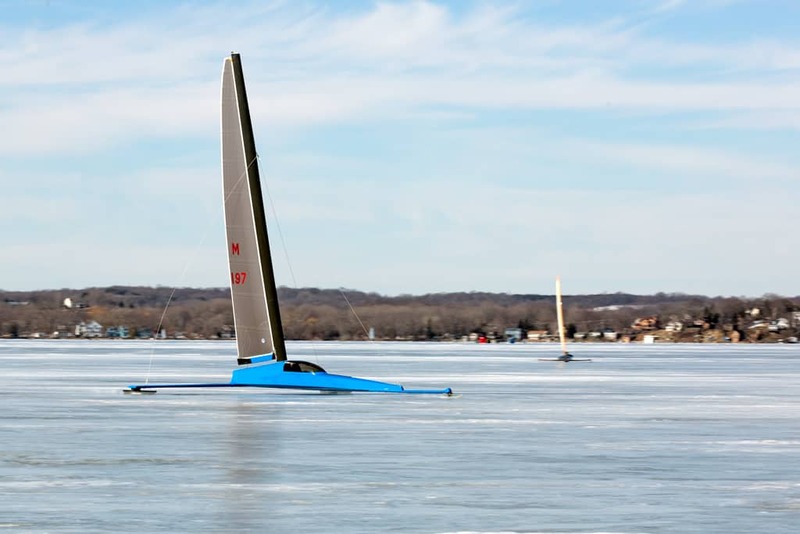 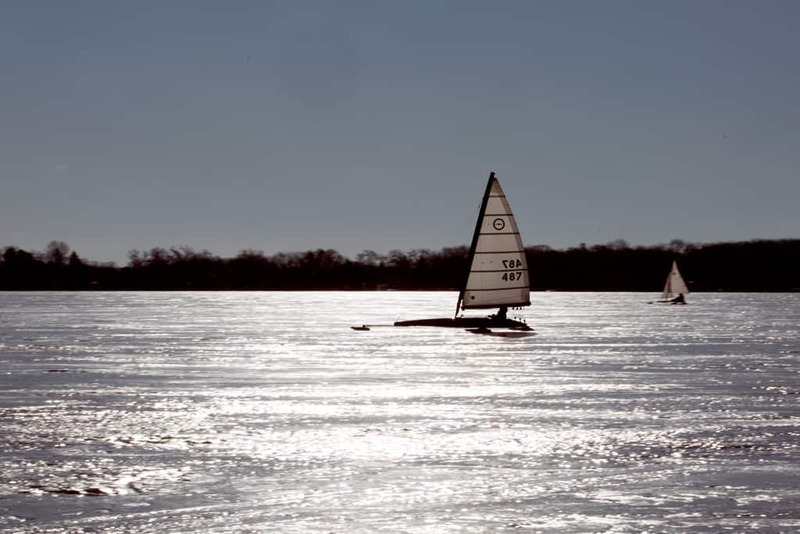 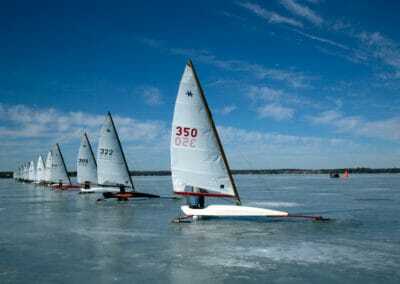 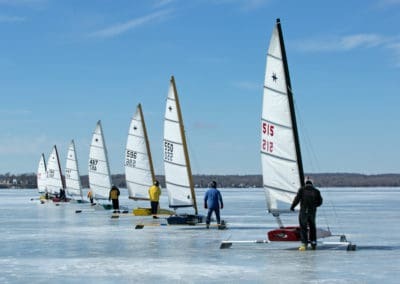 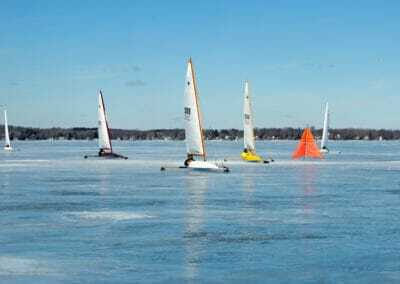 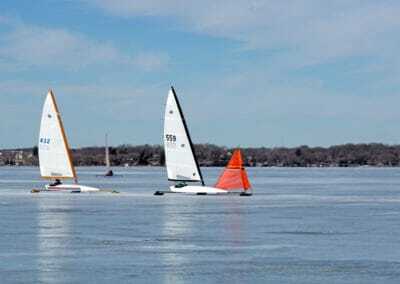 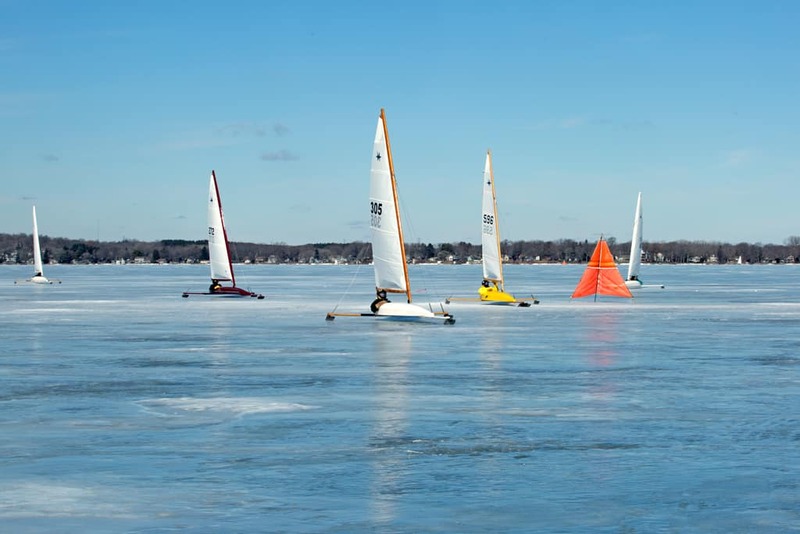 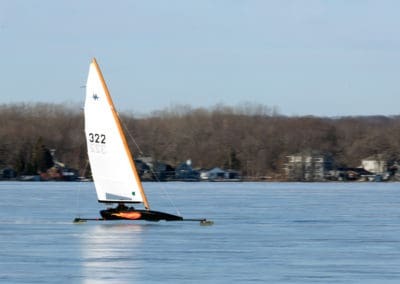 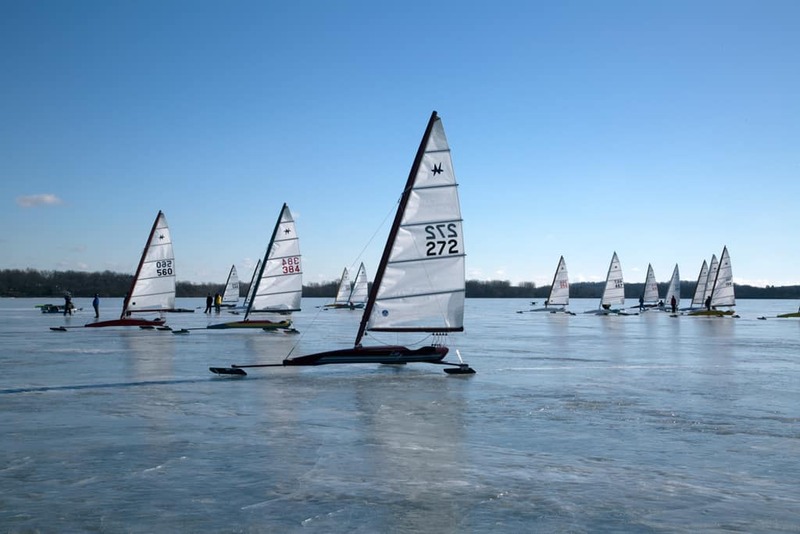 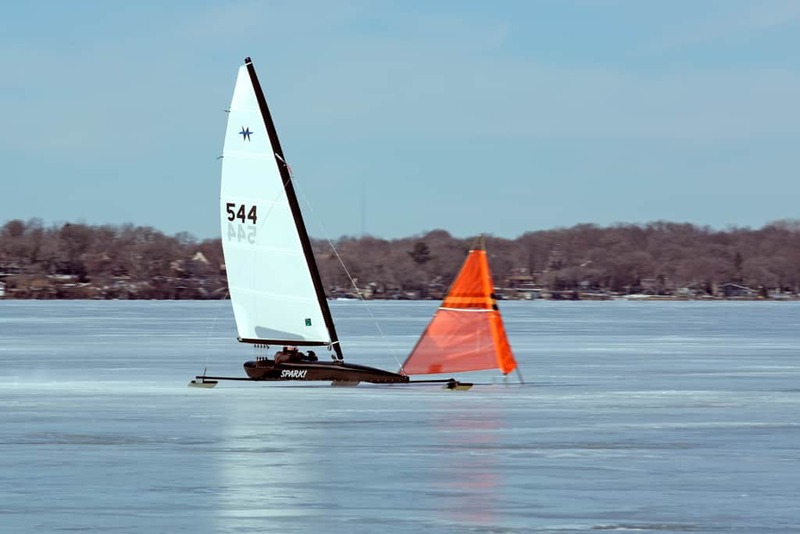 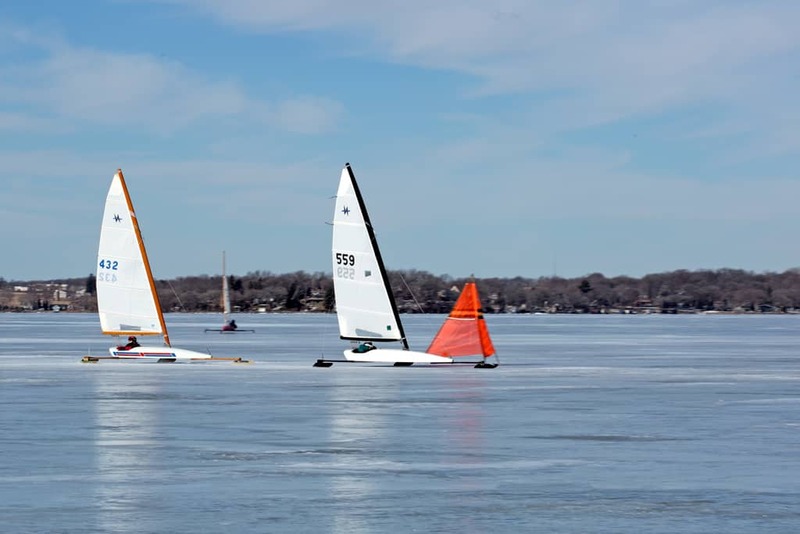 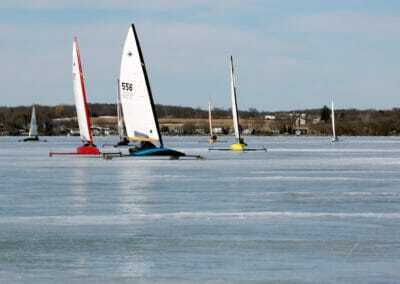 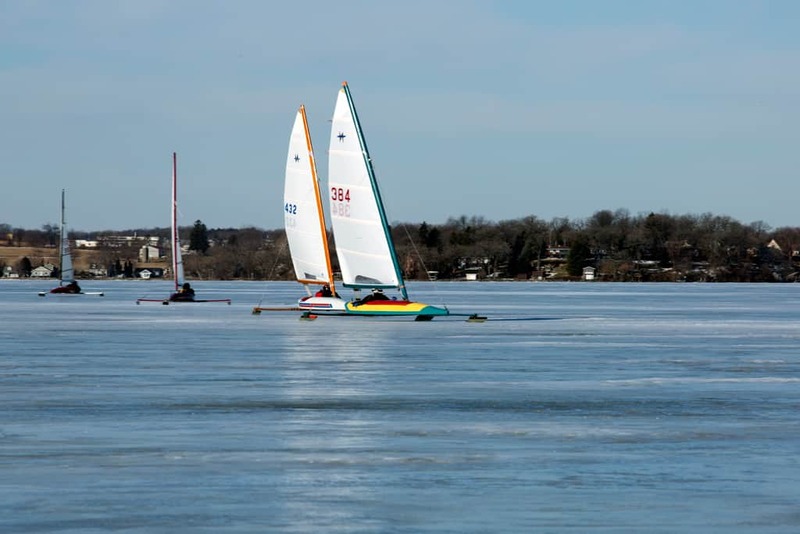 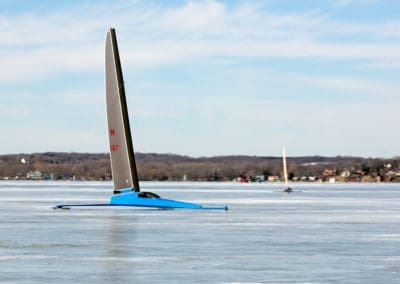 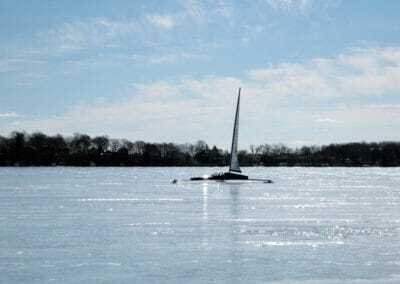 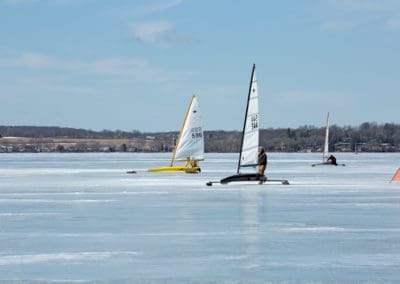 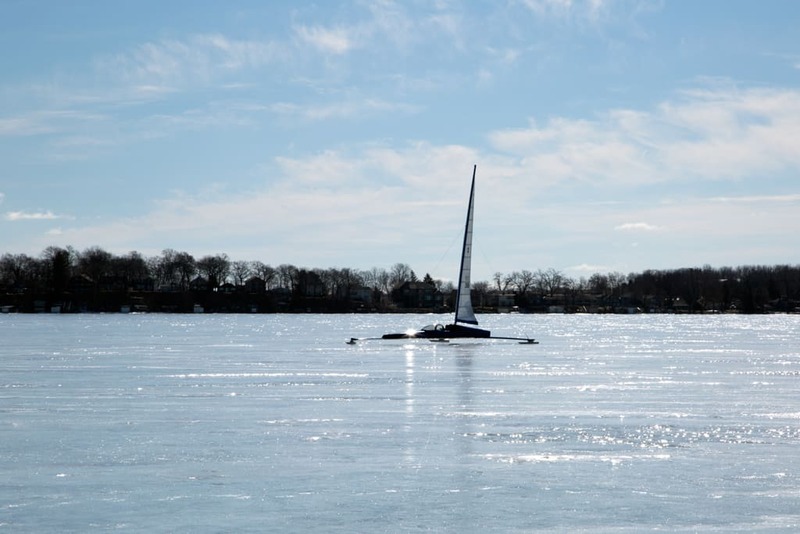 Thanks to the members of 4LIYC for their continued strong support for the sport of iceboat racing by ensuring the Nite regatta had the best course. 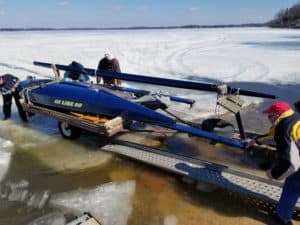 And finally, thanks to everyone who jumped into action on Sunday to help take the trailers off the ice when the landing deteriorated. 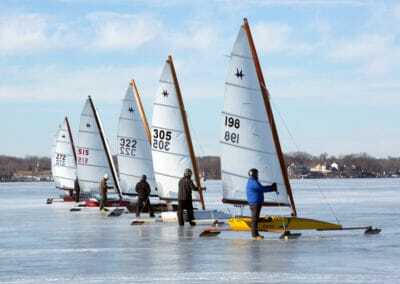 Watching the ingenuity and cooperation was truly iceboating at its finest!